The population of Liverpool has increased by over 180% since 2002 and the region has been highlighted as a melting pot for younger residents between 17 and 29. This demographic sets the demand high for good quality city centre living, as they require proximity to local universities, a thriving nightlife and access to a range of different businesses on their doorstep. Although living in the bustle of the city centre can present higher costs compared to living on the outskirts, often the advantages outweigh the drawbacks of a slightly increased cost. As salaries are increasing, those who choose to live in the city centre for convenience have a larger amount of disposable income that helps to justify steeper rental costs in brand new, luxury properties. Both the quality and quantity of jobs are producing a mass exodus from London as the capital isn’t the only region that entices those from around the world that are seeking careers in a major city. 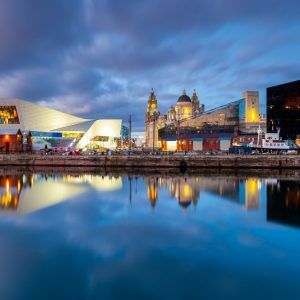 When it comes to residential accommodation, London’s steep prices are off-putting for anyone, therefore the northern corners of Liverpool are a far more appealing prospect. A flourishing job market and low cost, affordable rents are tempting to those living in the South as they can escape extortionate living costs whilst still residing in a spacious and high-quality apartment. A region delivering a high standard of opportunity is not only attractive for residents, but investors are also able to reap the benefits of the city’s prosperous investment opportunities. Property investment specialists RW Invest have a diverse range of completed and off plan developments that offer a combination of both low property prices and high rental yields for both first time investors and those looking to diversity their property portfolio.